Here at San Jose Pool Table Movers, we understand that the most important part of buying a new or used pool table is how well that it is put together. We have set up thousands of pool tables throughout the years and have seen everything. Some of the tools that we use to ensure the highest level of quality include a machinist level for accurate leveling, a beeswax mixed with resin compound for filling in holes and seems, and composite wood shims that are moisture resistant and don't compress as easily as traditional cedar shims. We proudly serve all of San Jose, California and surrounding areas. At San Jose Pool Table Movers, we specialize in pool table move, pool table setup or installation, and pool table recover. 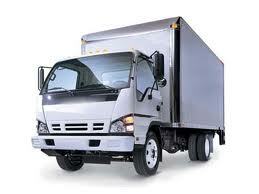 We have the ability to offer the lowest rates in the area because we stay extremely busy. Feel free to give us a call with any questions that you may have. If you have questions or you need a quote, feel free to call, but you can also send an email. 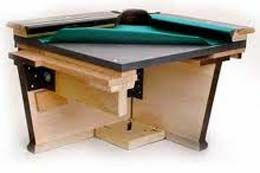 We can disassemble your pool table, pack it up, move it to a second address, and assemble the table while getting it extremely level. We will come into your house and remove the existing felt from your table, replacing it with Championship Titan or Tour Edition. We will also double check your pool table to see if it is level or not, if it isn't we will correct it. Other brands of felt are available such as Simonis. Please click on the refelt / recover tab and then on the Titan or Tour Edition link to choose a felt color. When you call or send e-mail, tell us which one you want. We have installed thousands of pool tables in the past 8 years and have over 20 years of experience doing it. San Jose Pool Table Movers is a member of the BCA and takes pride in all of the work that we do and we also guarantee the quality of our workmanship. 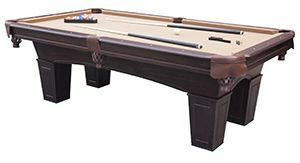 We at San Jose Pool Table Movers take pride in every billiard table that we setup, install, recover, or re felt. We offer additional services such as moving a pool table when you get your room re carpeted, we will disassemble the pool table and move it in another room to come back another day and install it. Perhaps you are moving to a different city, we can disassemble the table only. We can also disassemble and move your pool table into storage. Please click on the tabs at the top or bottom of the site to see some of our pricing deals on moves, installation, and recover/ refelt. Once you have an idea of what type of work you need done, call us to get a free quote. Are you interested in joining a pool league?